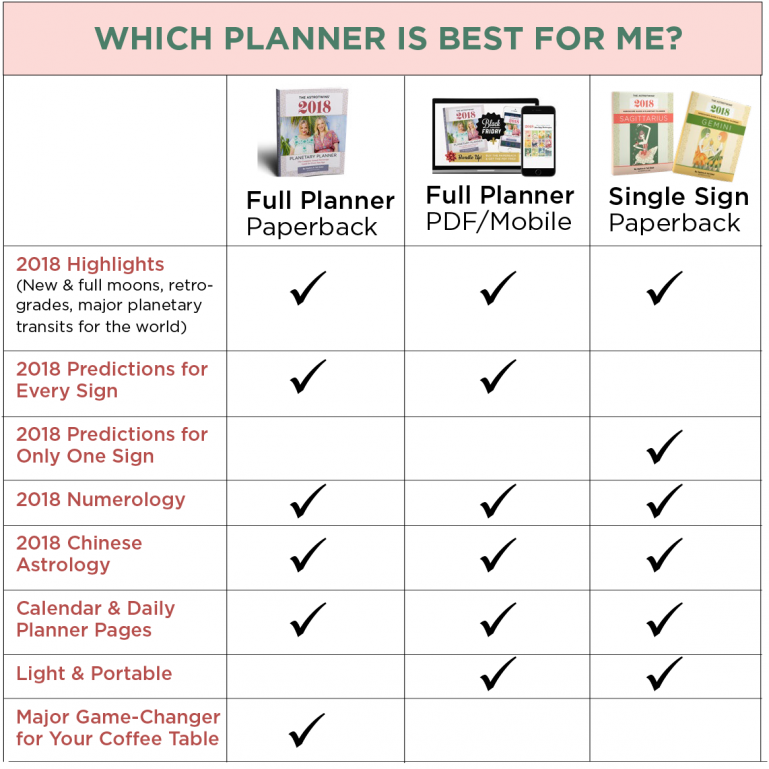 Which Planner Is Best for You? Our Planetary Planners come three ways to suit every style. Watch a guided tour or scroll down to read about the features of each of them! 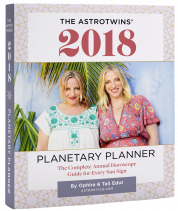 All three formats include the same 2018 Highlights, Numerology, Chinese Astrology and Day Planner/Calendar pages. 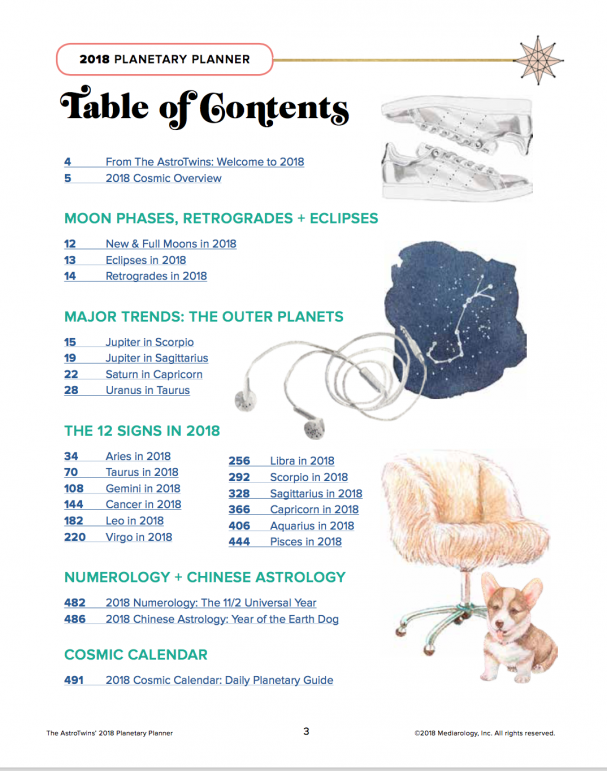 only the chapter of one sign is included in The 12 Signs In 2018 section. in the Table of Contents appear in every book format.